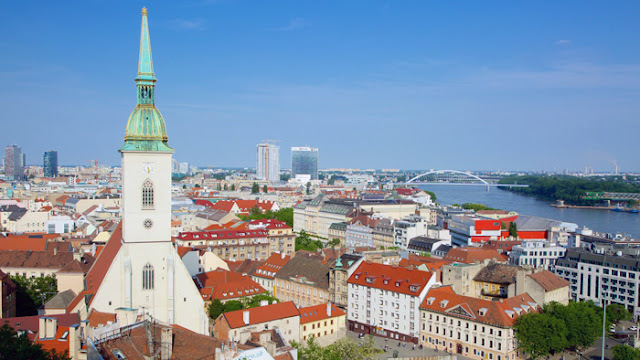 Bratislava is the capital of Slovakia and the only capital in the world that borders two countries, as the city extends to the borders with Austria to the west and Hungary to the south. But how famous can be a city that is in the shadow of the prestigious Vienna, romantic Budapest and fairytale Prague? The truth is that for Bratislava is quite difficult to compete with its neighbors. 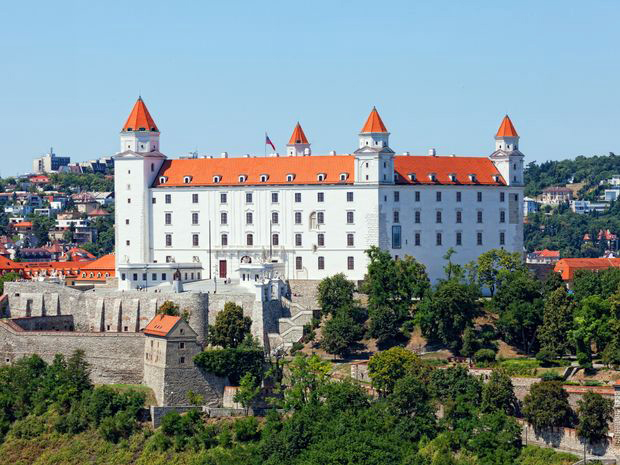 On the other hand, this very close distance from some of Europe's most visited cities is also the reason why Bratislava is a very popular destination among travelers for daily or two-day trips. Built on the banks of the Danube, the city seems to be swinging between the past, with the traces of the Communist regime still visible in many parts of the city and the present, making modernization efforts. 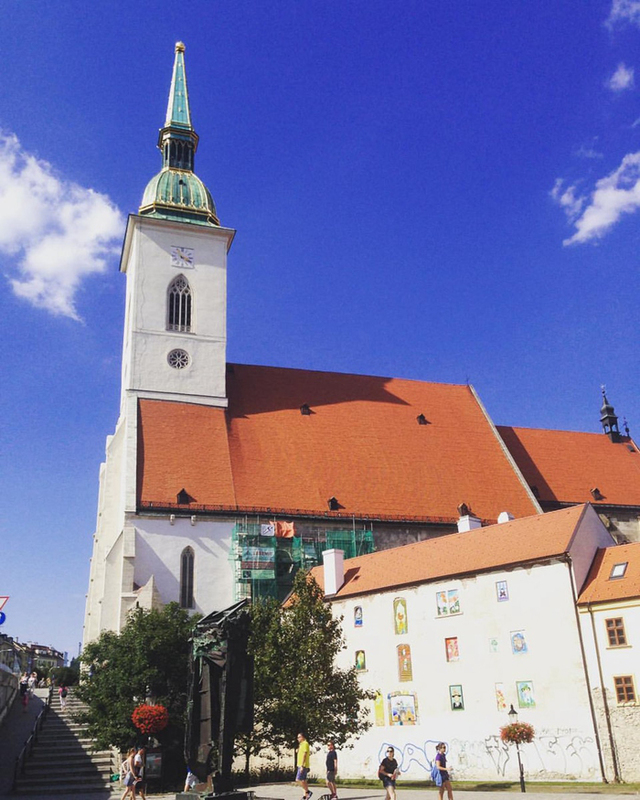 Bratislava, apart from interesting people, beautiful architecture, intense nightlife, interesting museums and galleries and delicious food, also offers to the traveller a unique look at the history of the area through a less traveled path. I visited Bratislava for about one and a half day, together with a trip to Vienna, since the two cities are less than an hour away from each other. I think a couple of days are enough to see the most important sights and get a good taste of the city. Whether you are in Bratislava for a few hours, or for some days, the best way to start is strolling around Bratislava's Old Town. The Old Town is quite small, with beautiful squares, like the Hlavné námestie and Primaciálne Square with the majestic palace and the Old Town Hall, narrow streets, impressive architecture, beautiful churches, numerous restaurants and cafes that are always full of people. The Cathedral of St Martin is the most important church in the city. It officially opened in 1452, but it took another two centuries to complete its construction. His obelisk reaches 85 meters high while at the top there is a large golden crown, weighing 300 kilos. From 1563 to 1830, the kings of Hungary were crowned here, and the premiere of Beethoven's work, Missa Solemnis, also was here. Before my trip to Bratislava I had read about the many statues that exist in the city. I was very impressed, however, because these are not statues like the ones we are used to seeing. The city center is full of very interesting brass statues that add a modern touch to the old town. You will see Napoleon rest on a bench, the old man with the hat, the only one of the statues made of silver, a paparazzi taking pictures, the smiling worker, Cumil emerging from a sewer, Cumil is the most famous of the statues that has become a symbol of the city. It is a huge rectangular castle with four corner towers located above the Danube in the small Carpathians. Because of its size and location, it has been a dominant feature of the city for centuries. The entrance to the Castle gardens and a part of the interior is free of charge, while an interesting museum can also be found inside. The view from the castle to the city is amazing, and if the weather is good, the visibility reaches up to the borders of Austria. The UFO tower is a trademark of the city. This not very stylish tower, with the flying disk - restaurant, standing on top of it, a sample of the Communist past of the country, is at the end of the Most SNP, which joins the two banks of the Danube. The construction of the bridge, which is 431 meters long, was completed in 1972 and has since been the longest cable bridge with one pillar in the world. You can also go up the tower to enjoy the view of the city from above, but what you should definitely do is a walk along the Danube. 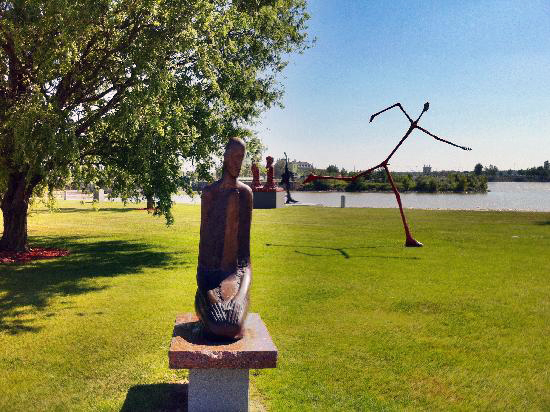 If you stay in the city for over a day, visit the Danubiana Meulensteen Art Museum is a great choice. It is a private museum of modern art, located just outside the city, on an artificial island on the Danube. Around the building of the museum there is a very beautiful park with about 40 different sculptures. Slovak cuisine has received great influences from the kitchens of Austria, Hungary and the Czech Republic. The best-known local dish is halušky - handmade potato pasta served with a sheep's sauce and bacon. Other popular local dishes are kapustnica - a soup made with sausage and sour cabbage and lokše - potato pancakes that usually accompany some kind of meat. If you want to taste the local cuisine, Bratislavský meštiansky pivovar just outside the old town is a very good choice. If you are a beer lover, go down from the castle and take a stop at U čerta to taste one or two of the interesting local beers. Having been to Prague, Budapest, and Vienna, I cannot wait to make it to Bratislava one day! 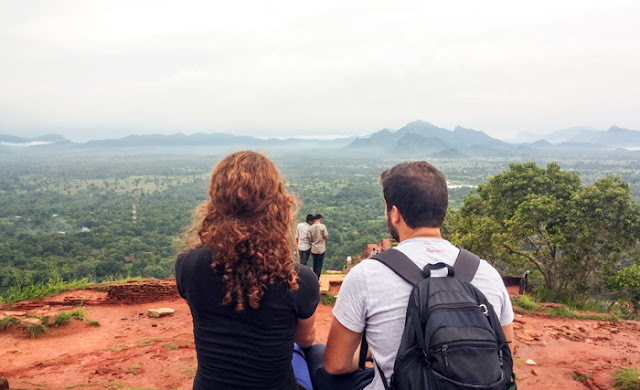 It seems to be rather understated and less crowded and with a curious mixture of cultures and cuisines. Spending some time in Bratislava is definitely a good idea!It's such a beautiful city, and so underrated!